Give the gift of Archie this holiday season! 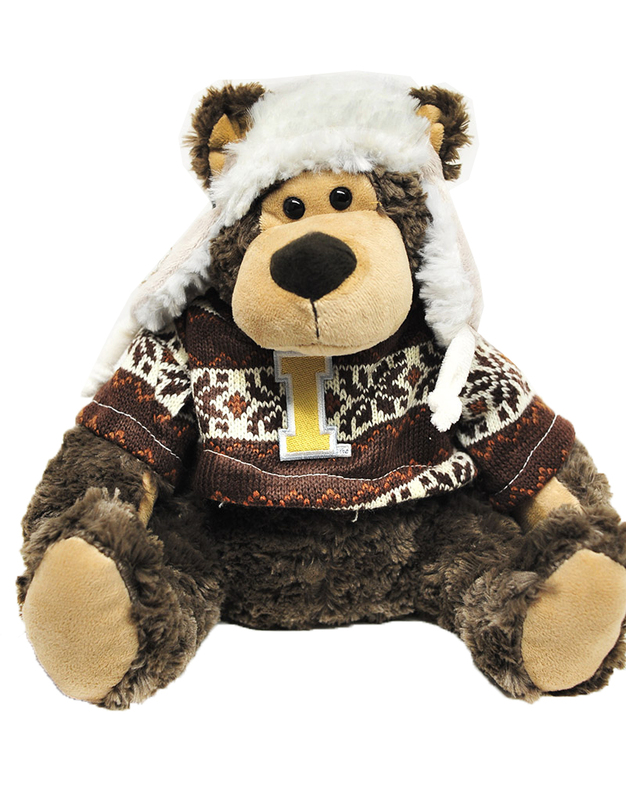 Soft and cuddly, and featuring IDAHO VANDALS on a cute santa-inspired sweater. Classic 10" Chelsea teddy bear wearing a two piece black and white cheerleader outfit with a gold Idaho screen-print on the front. 100% polyester and PVC pellets. 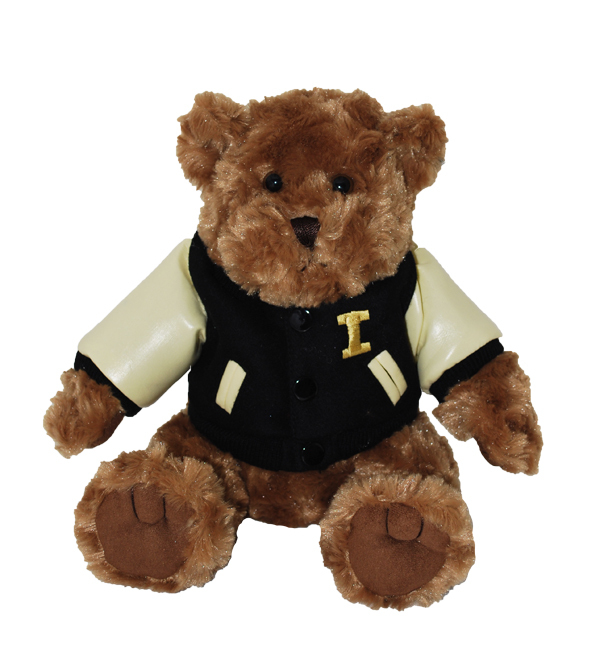 Classic Chelsea teddy bear wearing a Letterman's black and gold jacket with real snaps and embroidered I on the front. His paws are real leather too. 100% polyester and PVC pellets. 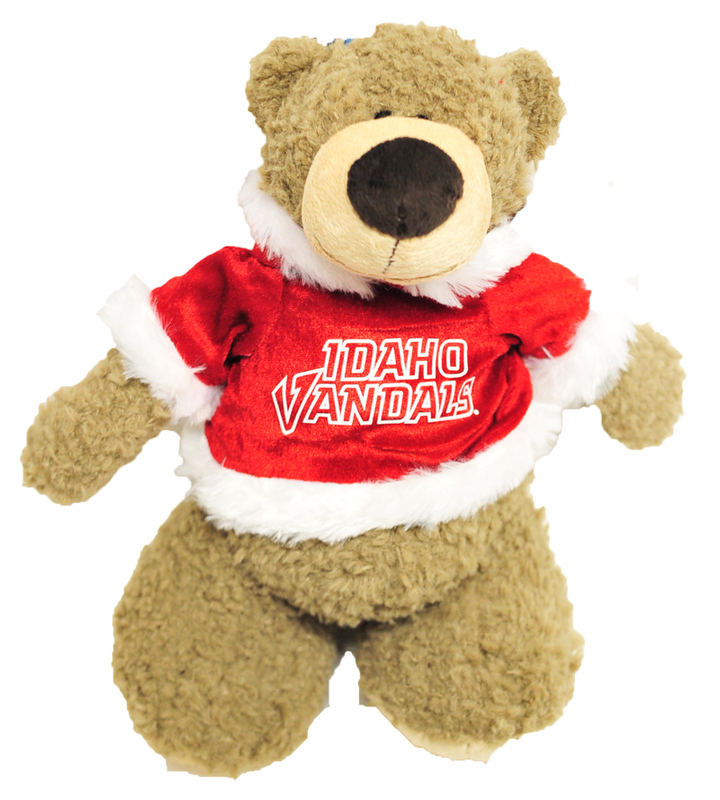 Ten inch tall Joe Vandal doll wearing Idaho Vandals t-shirt. 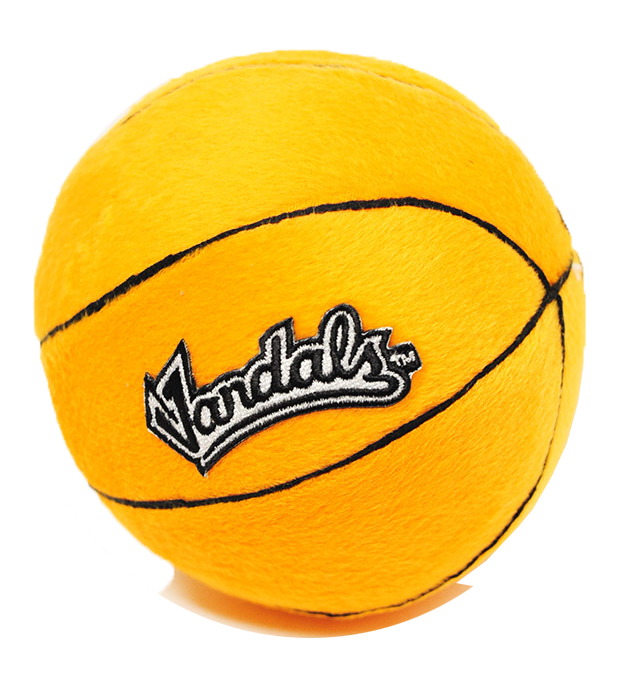 Idaho's student-athletes go by a name earned nearly a century ago by a basketball team coached by Hec Edmundson, whose teams played defense with such intensity and ferocity that sports writers said they "vandalized" their opponents. The mark made by that 1917 team went far deeper than wins and losses on the court. In 1917, Harry Lloyd "Jazz" McCarty – a writer for the student newspaper, the Argonaut – subtly tagged the team with a new nickname in a pregame write-up: "The opening game with Whitman will mark a new epoch in Idaho basketball history, for the present gang of 'Vandals' have the best material that has ever carried the 'I' into action." McCarty's indirect suggestion stuck. 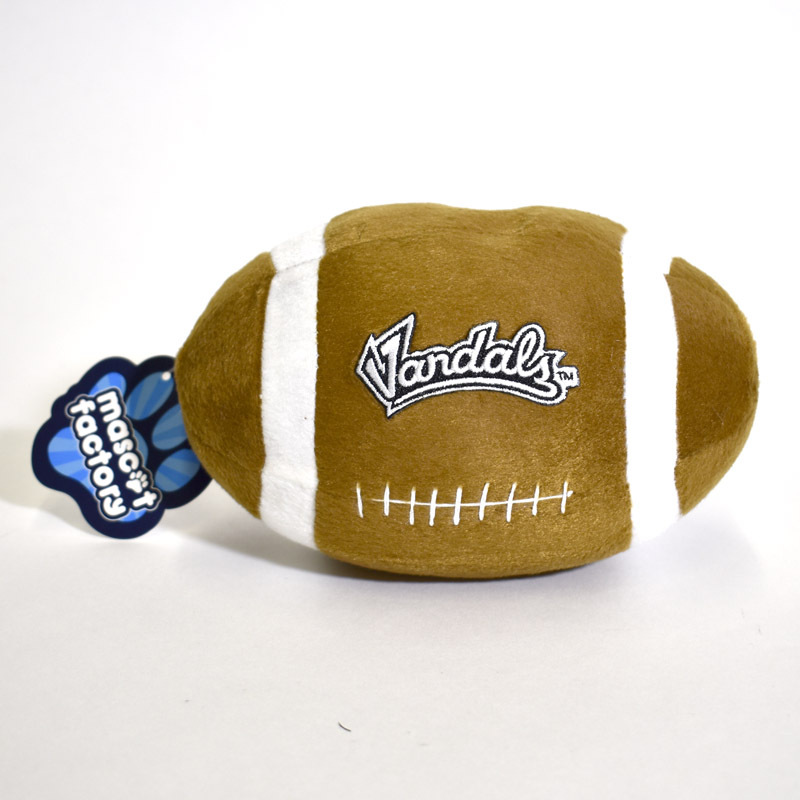 By 1921, McCarty and Edward Maslin Hulme, the dean of the College of Liberal Arts, succeeded in their push to have Vandals officially adopted as the nickname for Idaho teams. Another interesting historical note is Coach Edmundson's roots. He was from Moscow and made a name for himself at Idaho as one of the nation's top distance runners. He eventually left Idaho to coach at the University of Washington where the Huskies played basketball in the building bearing his name – Edmundson Pavilion. A member of a fierce Germanic people that overran Gaul, Spain, and Northern Africa in the fourth and fifth centuries A.D. and sacked Rome in 455.